Pep Guardiola believes his Manchester City side are now firmly accustomed to his philosophy and have become an impressively stable team. 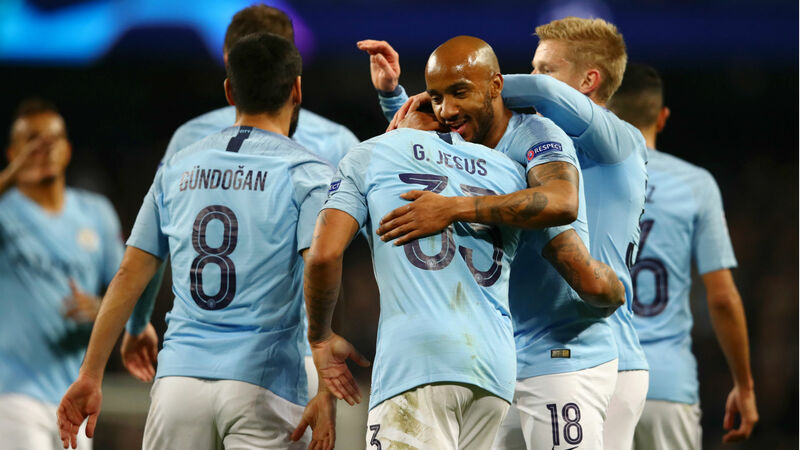 City host rivals Manchester United on Sunday, with Jose Mourinho's side having come out on top in a five-goal thriller in the corresponding fixture last term. The champions sit two points clear at the top of the Premier League table after 11 games this season, though, and a win at Etihad Stadium would put further pressure on nearest rivals Liverpool and Chelsea. City's dominant domestic form over the past 18 months comes following a difficult first term under Guardiola, in which they failed to win a trophy and finished third in the league. But the former Barcelona boss has claimed it is perfectly normal for his side to have taken time to adapt to his playing style. "I think all the managers need time, not just me," Guardiola told a news conference. "We are better than the first year but that's normal. I think the manager has to evaluate how the team changes during the time. When it's better, that's a good signal. "We have the feeling, all of us, not just me, that the team is stable for a long time and that's good. "Of course, we can lose, but that is part of the game, it's not a big issue. "Even last season against United we lost 2-3, but the feeling we had, we were disappointed, but we didn't have too many regrets about the way we played, no, not at all. That's why it will make you confident."